Introduced as essentially a red version of the of the Duo Jet in 1955, the Jet Fire Bird is another of Gretsch's iconic solidbodies. Like the Duo Jet, the Fire Bird has a rather chambered body which gives a very light overall feel. In 1961, the line was changed from a Les Paul-like single cutaway to a symmetrical double cutaway body shape. 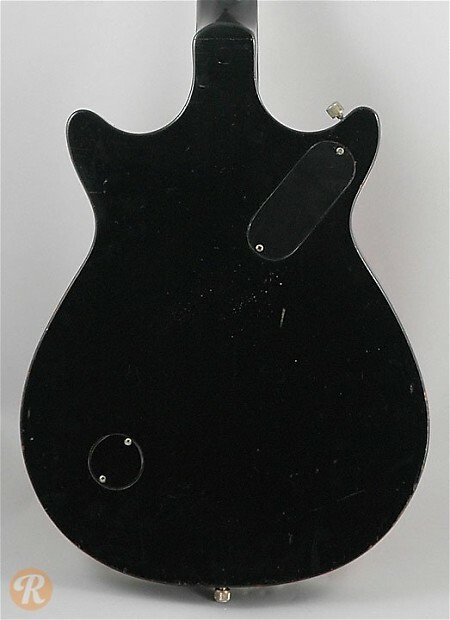 Initially, this guitar used DeArmond pickups which were switched to Filter'Trons in 1958. 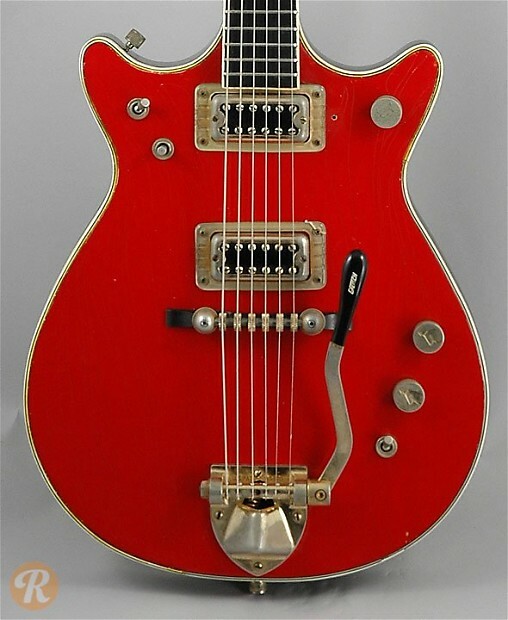 Unique to this Era: A standby switch is added in 1962 along with a bent Burns vibrato arm. Finish Specifications: The Duo-Jet came standard in Red in 1958.